If you had any doubts about Panerai’s position as kings of the deep, their SIHH 2019 release catalogue would have dispelled them. Panerai’s hero watch is, of course, the Submersible. It’s one of the brand’s most interesting designs, as it honours their historically important case shape (cushiony, with a fairly famous crown guard), while adding a very handy bezel and some more contemporary lines. This year sees Panerai tweak a few more details, playing more with smaller sizes and interesting case materials. Here are our top picks. Panerai Submersible Carbotech 42mm – PAM00960 Carbotech is, without a doubt, a cool material, and you know what, it’s still just as cool in a smaller 42mm case. Panerai Submersible 42mm – PAM00959 This is a more classical Panerai execution, with its steel case. But even here there’s something quite special — the pebbly, grainy grey dial that somehow reminds me of shark skin. Panerai Submersible BMG-Tech 47mm – PAM00799 Just quietly, this might be my pick of the bunch. It’s big, and it’s also very complex. Not only is the bezel Carbotech, but the case is made from Panerai’s fancy BMG-Tech material. And that makes for a pretty awesome combo. 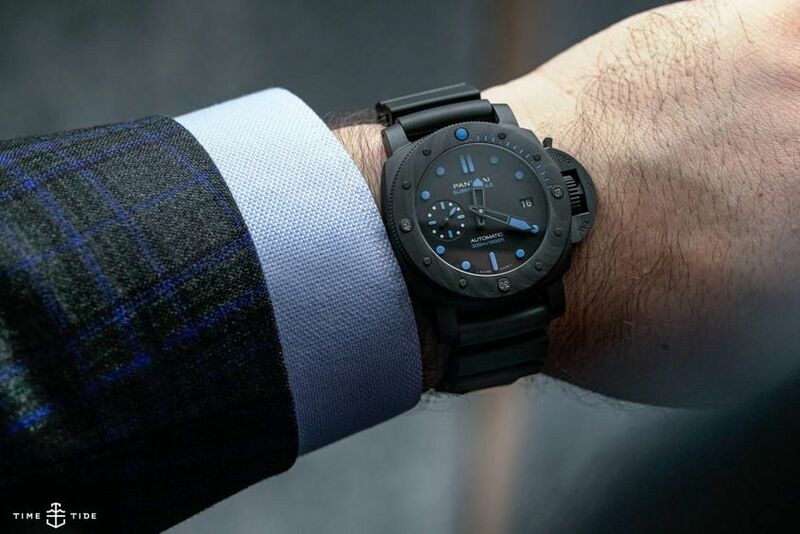 The post VIDEO: 3 standout Submersibles from Panerai’s SIHH 2019 collection appeared first on Time and Tide Watches.